All four Freenters kiosks at NU will disappear this fall as the company shifts to a software-based model. 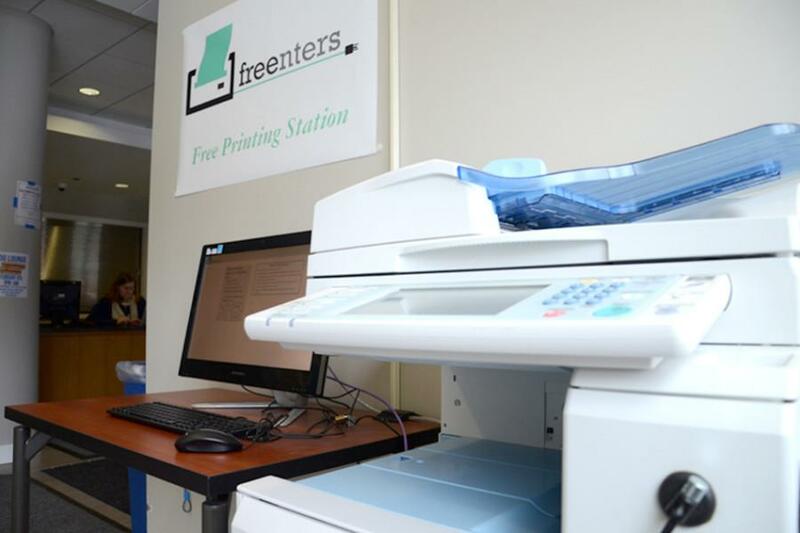 Freenters, a company that provides free printing service to college students by publishing advertisements on printed pages, will move in September from its kiosk system to a software model. The company, started by two University of Chicago students in September 2013, allows Northwestern students access to its services by creating an account with an NU email address. The new model, Freenters 2.0, will eliminate the four printing kiosks at NU and allow students to download free, ad-subsidized print software onto their computers. After downloading a driver on Freenters’ website, students will be able to choose where to send their documents for printing, said Rho Kook Song, co-founder of Freenters and a second-year graduate student at UChicago. Past Freenters users will be able to login with their existing accounts, he added. Until this year, students could print at kiosks located in Norris University Center, Foster-Walker Complex, Allison Hall and Kemper Hall. Kiosks at all 24 colleges that use Freenters’ service will be shut down for the upcoming academic year, said Stephen Huh, chief technology officer at Freenters and a junior at UChicago. Freenters decided to shift to an ad-subsidized print software model to meet a growing national demand for its services, Song said. Huh said the main challenges of the kiosk model were the high cost of buying computers and printers, the operating cost of paying for printer maintenance and the slow process of communicating with universities. Previously, Freenters published advertisement banners on the bottom margin of each printed page. Starting this year, students will receive one full-page printed ad for every five printed pages as well as 50 cents of credit for each printed ad, Song said. Credit obtained via Freenters can be cashed in for a variety of gift cards, he added. The new software model conserves the idea of ad-subsidized printing, Song said. Jim Roberts, senior director of Student Affairs Information Technology at NU, said the kiosk was a successful and popular service for NU students. The process of bringing the kiosk system to NU went well, he added. Although the new model will likely be popular on campus, it may make it more difficult for some students to print, Roberts said. “Hardware supplies will need to be provided by the students, and I think the kiosk model was an opportunity for students who didn’t have the hardware, or the supplies to print, to actually be able to print,” he said.